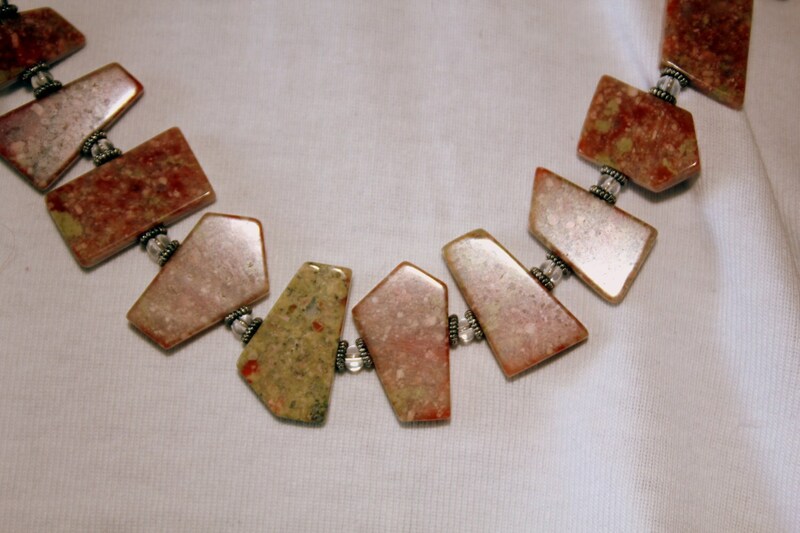 This necklace is made from irregularly shaped unakite stones. First discovered in the United States in the Unakas mountains of North Carolina from which it gets its name and it is an altered granite. 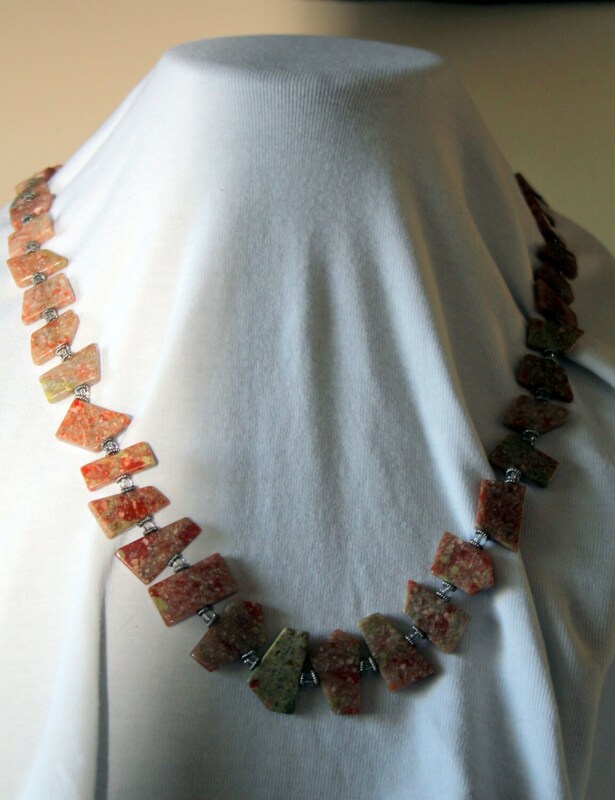 It is called the Stone of Couples because of its multi-crystal combinations and its Greek name epidosis meaning “growing together." It exists in various shades of green and pink and is usually mottled in appearance. 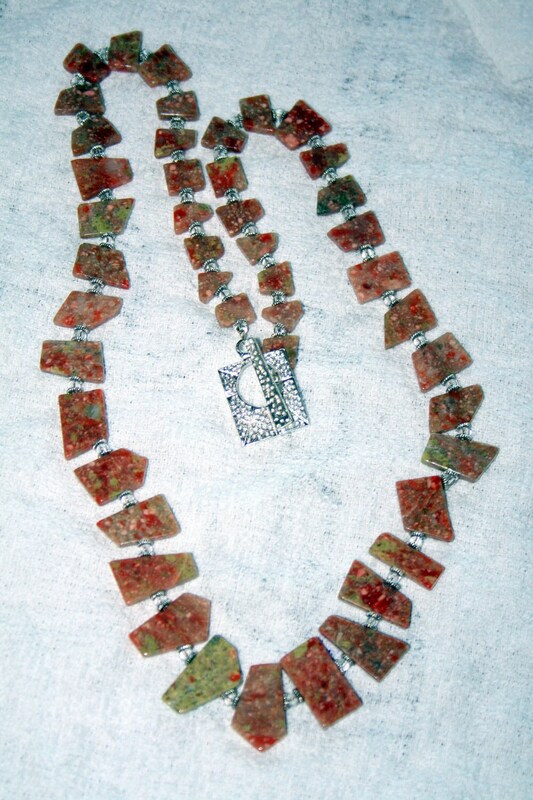 This piece is 28 inches long and has small Bali silver spacers and clear glass seed beads. 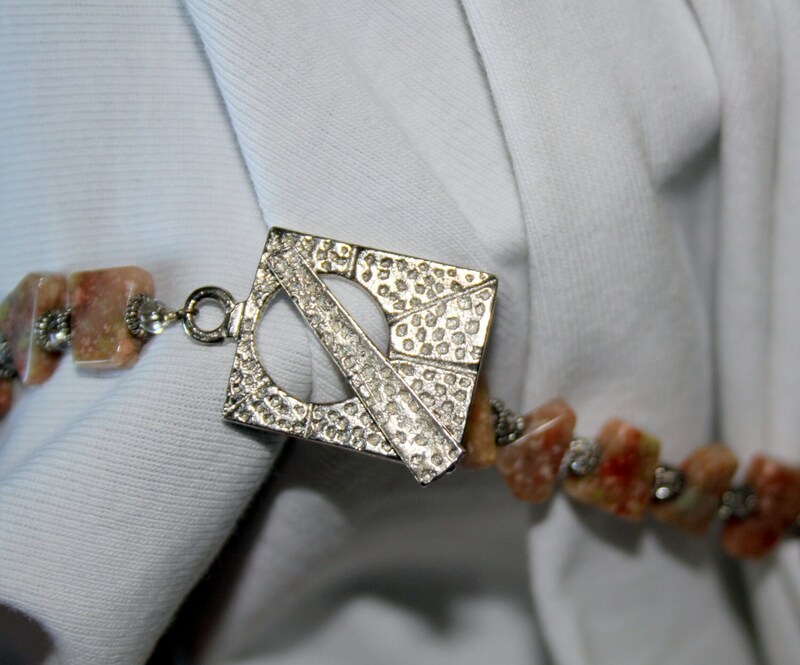 The clasp is a silver toned, textured toggle clasp. The colors are muted and somewhat neutral and will go with just about any colored clothing.